Start saving sizes in the My Favorite Sizes. Pick the best footwear to match your outfit every time you step out. 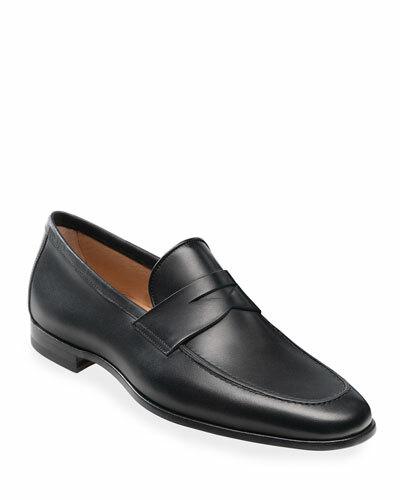 At Neiman Marcus, we provide you a diverse selection of designer loafers and slip-ons for fashion-forward men. Pair them with casual tees, jeans, or pants to match your style. Our collection of penny loafers lends a peppy and contemporary appeal to your whole personality. From side-buckle loafers to leather loafers, we have versatile designs to meet your fashion goals. 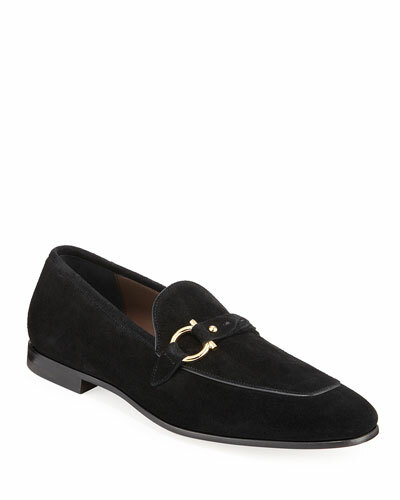 Try out our stylish suede slip-ons for men to add a touch of modernity and glamour to your look. 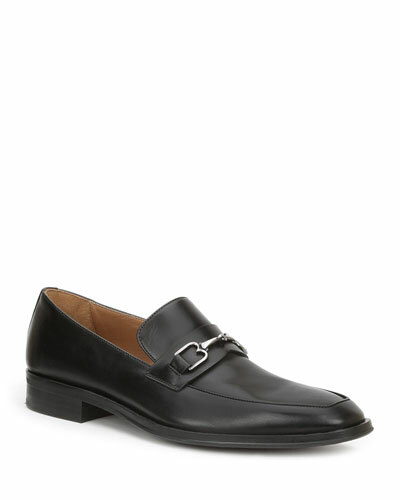 Shop Neiman Marcus for trendy and chic loafers and slip-ons for men in numerous styles, sizes, and colors by leading designers. 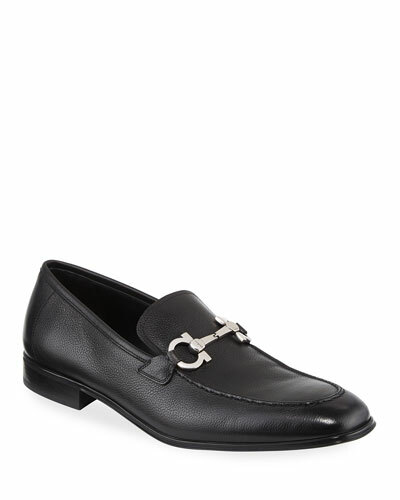 Bally loafer in textured calf leather. Squared apron toe. Penny keeper strap across vamp. Brogue details at sides. Leather lining. 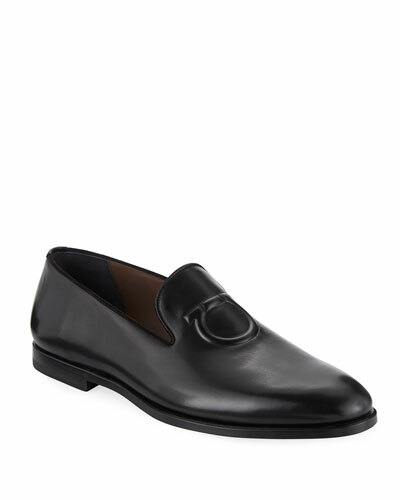 Bally loafer in textured calf leather. Squared apron toe. Penny keeper strap across vamp. Brogue details at sides. Leather lining. Rubber outsole. Slip-on style. "Webb" is made in Switzerland. 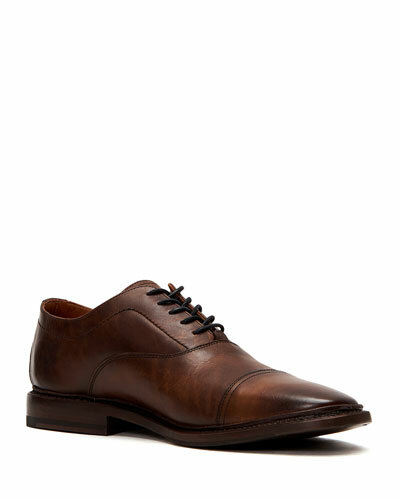 Berluti "Classic Roccia" shoe in leather. Flat stacked heel. Tapered toe. Single monk strap with silvertone buckle across vamp. Leather lining. Slip-on style. Made in Italy. Bottega Veneta men's espadrille in suede with signature intrecciato woven suede heel. Round toe. Tone-on-tone stretch inserts. Slip-on style. Braided jute midsole. Rubber outsole for traction. "Gala" is handcrafted in Spain. Giuseppe Zanotti loafer with graphic-pattern fabric overlay. Round toe. Knotted Swarovski?? crystal shark teeth in place of tassels. Notched vamp. Giuseppe Zanotti loafer with graphic-pattern fabric overlay. Round toe. Knotted Swarovski?? crystal shark teeth in place of tassels. Notched vamp. Grosgrain topline. Calf leather trim. Slip-on style. "Kevin" is made in Italy.